The word “courage” comes from the French word for heart. Courage is the ability to do what is in your heart. 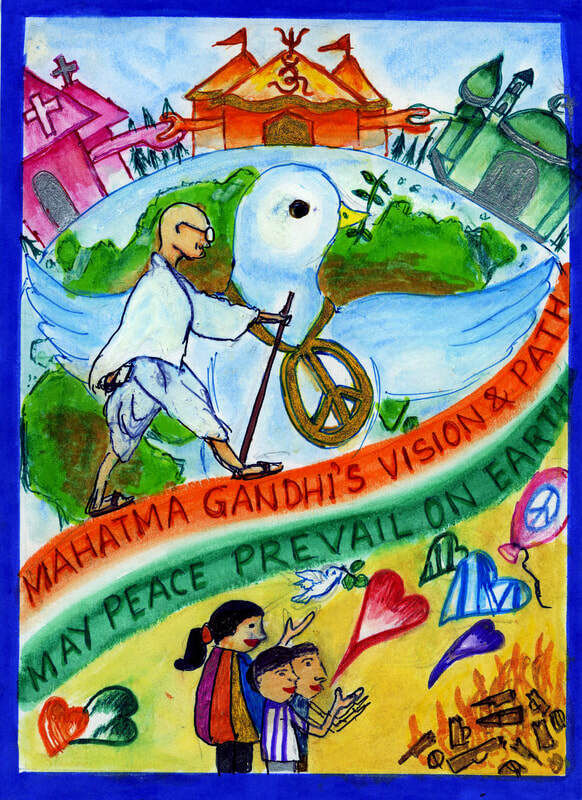 Gandhi believed that nonviolence was the prerogative of the brave. Do you have the courage to be nonviolent? Today I have the courage to live in accordance with my values, to speak from the heart, to treat people with compassion and kindness, to nonviolently take a stand for what is just. 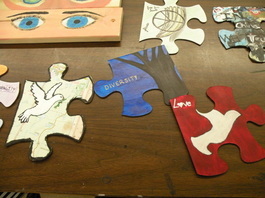 It takes courage to stretch our worldview, to develop and deepen our commitment to peace. Courageous people are those who are empowered with the awareness that what they think, say and do makes a difference. Today start to see yourself as an agent of positive change. Have the courage to be the change you wish to see in the world. It can sometimes take courage to do the right thing. Think of a time when you chose to do what you knew was right even though it was a hard choice. Draw a picture of write a story about it.